He studied Law, Political and Economic Science at Athens University (1958-1963) and pursued Doctoral work in constitutional law and political sciences at Paris University (1965-1967). From 1967 to 1971 he practiced law in Nicosia. In 1971 he was appointed judge, a post that he held until March 1978 when he became Minister of Justice and as from May 1979 he was also the Minister to the President. He served as well as Special Advisor to the President on legal and human rights matters. In 1981 he joined the Diplomatic Service and served as Ambassador of Cyprus to France, Italy, Austria and other European countries with concurrent accreditations. He was the permanent Representative of Cyprus to the Council of Europe, the World Tourism Organization, the OSCE and the United Nations and other International Organizations and Agencies in Vienna. He also served as Director of Policy Planning and Ag. Permanent Secretary of the Ministry of Foreign Affairs. Mr. Michaelides represented Cyprus in various ministerial Committees and Meetings of the Council of Europe, the U.N and the OSCE. He was a member of the Committee of Minister’s Deputies Group on Human Rights and the Venice Conference on Democracy through Law. He has participated to the meetings of the OSCE Court of Conciliation and Arbitration and in various International Conferences and meetings on legal matters. From 1989 to 2011, Mr. Michaelides has been an elected member of the European Committee for the Prevention of Torture and Inhuman and Degrading Treatment or Punishment. Since 2010 is an elected member of the United Nations Subcommittee on Prevention of Torture. Since 1999 he is a practicing lawyer-legal consultant in Nicosia. 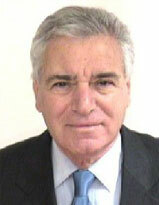 He is the author of various publications and articles on the Cyprus legal system and human rights. He speaks Greek, English, French, German and Italian.